Aesthetic services are the heart and soul of Skin Ink & Laser, and bring many men and women from in and around Fayetteville, Arkansas to the practice. These treatment options offer the very latest in aesthetic technology combined with highly skilled practitioners to deliver astounding results. If you're ready to look and feel great, schedule an appointment today by calling Skin Ink & Laser or using the simple online scheduling tool. The term "aesthetics" is rooted in a philosophical field of study concerning the concept of beauty. When used to describe cosmetic treatments, aesthetics are procedures that enhance your appearance, helping you achieve your beauty goals. At Skin Ink & Laser, aesthetic services focus on refining and enhancing your facial features to make the most of your natural beauty. All procedures are non-invasive or minimally-invasive, allowing for impressive results without the risks associated with more invasive options. Facials are an essential component of skin care. Professional facials include a combination of cleansing, exfoliation, massage, and targeted treatments. The true benefits extend far beyond these techniques. A skilled aesthetician performs all the facials at Skin Ink & Laser and works with you to determine your specific set of needs. You'll receive customized skincare advice that can enhance your at-home skincare routine and also help you decide which additional treatments are appropriate. Lash extensions are a great way to enhance your natural eyelashes. You can choose between a natural looking enhancement or a more dramatic effect. Your aesthetician applies lash extensions using a precise technique. High-quality extensions are glued to your natural lashes. This yields the most lasting and attractive results and preserves the health of your natural lashes. Skin Ink & Laser uses only the highest quality lash and glue materials. Both procedures remove the outermost layer of dead facial skin and reveal the healthy, glowing skin that lies beneath. However, each technique uses a different approach. Dermaplaning is a manual exfoliation technique that uses a sterile surgical scalpel to gently and precisely remove the top layer of dead skin and fine, vellus facial hair. Microdermabrasion is an exfoliation technique that uses a carefully controlled stream of microcrystals to remove the outer layer of dead skin. Microdermabrasion does not remove facial hair. Both techniques stimulate your skin cells to produce new collagen and elastin. This level of exfoliation also allows topical treatments to penetrate the skin, boosting their effectiveness. 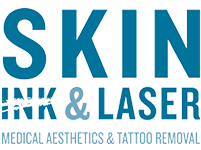 During your consultation at Skin Ink & Laser, your aesthetician discusses the benefits of each approach and helps determine which path is better suited for your specific set of needs. Schedule a consultation today to begin a path toward more beautiful and radiant skin.